Secretary of State John Kerry will travel to Geneva on Friday in en effort to narrow differences in the negotiations, two senior State Department officials said. White House spokesman Jay Carney told reporters the United States was looking for an initial agreement that “halts Iran's nuclear program from moving forward and potentially rolls back parts of it. “The first step would address Iran's most advanced nuclear activities, increase transparency so Iran won't be able to use the cover of talks to advance its program and create time and space as we negotiate a comprehensive agreement,” Carney said at the White House. According to the deal under discussion, administration officials told CNN that Iran would stop enriching to 20% purity, seen as a jumping off point to producing weapons-grade uranium. It would also convert a majority of its existing stockpile of enriched to 20% to an unusable state, but would continue to enrich uranium to a low purity of around 3.5%. 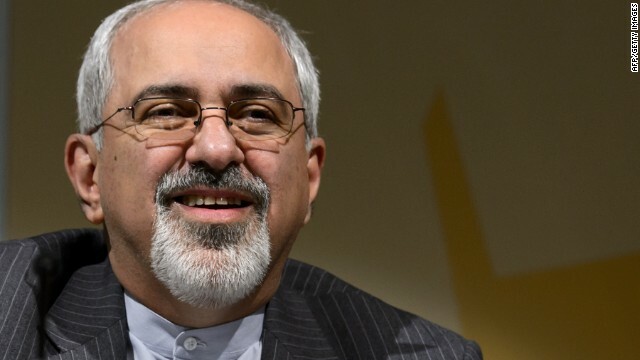 “There won't be a suspension of our enrichment program in its entirely,” Zarif said. Iran wants the international community to acknowledge its right to enrich uranium under the Non-Proliferation Treaty. In exchange, Washington could unfreeze some Iranian assets overseas. In February, President Barack Obama signed an executive order freezing all Iranian government assets held in U.S. and American banks abroad. The six-country negotiating group could also ease sanctions banning trade in Iranian gold, precious metals and petrochemicals. A senior official briefing reports on the eve of talks said there had been a “key shift” in recent weeks from Tehran, which seemed serious about reaching a deal. This official and other Western diplomats said an initial agreement that addressed enrichment and international monitoring could create room for negotiations on a larger pact. With Iran’s nuclear program continuing to develop, Undersecretary of State Wendy Sherman, the lead American negotiator, said it was important to pick up the pace. “I think we can make rapid progress to bring a halt to any advance in the program, which will put time on the clock to allow us to negotiate a comprehensive agreement,” Sherman told the al- Arabiya television network this week. Another senior Western diplomat said world powers negotiating with Iran believe a quick framework agreement, implemented in stages, would be preferable. “You have a global package, you have a clear view of the end game. And then you build on not confidence-building measures, but steps to get to the end game. Iran has been on a charm offensive since the election of President Hassan Rouhani, who has made lifting tough economic sanctions against his country a priority. During a visit to the U.N. General Assembly in September, his moderate diplomatic approach raised hopes in the West of a thaw in relations and progress in nuclear negotiations. Rouhani’s visit culminated in a phone call with Obama and a meeting between Kerry and Zarif. It was the first such high-level contact between the two sworn enemies since Iran's 1979 revolution, which sent relations into a deep freeze. The tone of the negotiations appeared to signal a shift from the diplomatic standoff that prevailed under former Iranian President Mahmoud Ahmadinejad. World powers have offered a similar package of economic incentives. In exchange for easing some sanctions, the group also wanted Tehran to shut its underground enrichment facility at Fordo, near the holy city of Qom. It also proposed fuel for a medical reactor and easing sanctions on aviation spare parts as part of the deal. Senior administration officials have said American sanctions experts have met with the Iranian team to discuss the range of U.S. sanctions and the possibility of sanctions relief. Diplomats said possible measures under consideration involve a temporary unfreezing of some seized Iranian assets worldwide, in addition to possible lifting of sanctions barring trade with Iran in gold and other precious metals and petrochemicals. But diplomats cautioned against offering too many incentives to Iran in the latest negotiations, calling sanctions the “best leverage” the international community has in forcing Iran to place curbs on its program. “There could be a positive outcome if we remain strong. The last thing would be to give up too early in terms of sanctions, because then the Iranian regime will feel the pressure is weaker and they will try to achieve as much as they can,” one Western diplomat said. “The key word is reciprocity. What they are asking for now, quite frankly, is nice words on their side, or reversible measures against the lifting of sanctions. That is simply not reasonable. We have some demands, and they have to comply with those demands. It is not a game,” the diplomat said. Any plan to relax sanctions against Iran is likely to meet stiff opposition from Israel, which asserts that Tehran is only months away from developing a nuclear weapon. Prime Minister Benjamin Netanyahu, who met with Kerry in Jerusalem on Tuesday, warned about easing up on Iran while it continued its nuclear development. “No deal is better than a bad deal,” he told the Israeli leader. Members from both parties in Congress have urged the administration not to prematurely loosen any of the sanctions that are choking Iran's economy. Legislation is being drafted that could tighten the sanctions regime until a deal is reached. wrote Sen. Marco Rubio, R-Florida, in an op-ed for Politico. Rubio, a potential Republican presidential candidate in 2016, has been a strong proponent of additional sanctions against Iran. The administration has urged Congress to hold off on additional measures to provide them flexibility during the talks. Other diplomats agreed that while the threat of additional sanctions might be helpful, passing new legislation would not help establish trust with Iran at a critical point. Iran is playing with time and think it may soon enforce its position by force after possessing nuclear power; but we and the world are not fool; the world have been patient enough with Iran; a decisive action is overdue; oh world, please act !! I don't understand why Islamic clerics like Rouhani and the Ayatollah are in control of the army and atomic weapons. This is similar as the Pope and his cardinals negotiating the expansion of atomic bombs, conventional arms and the destruction that comes with it. Unless Allah is Satan, nothing else justifies that these S^0^B's are the lords of destruction and death. You want to know why Israel is against the US and Iran becoming friendly? Because the biggest argument for the US spending the most on Israel than any other nation, even though they are a rich developed country, is based on it being under "threat" by its neighbours, neighbours that are evil and a threat to the US too. AS IF! However, Jordan and Egypt have peace treaties with Israel, Iraqs military is practically non existant due to Gulf War 1 and Gulf War 2, and countires like Lebanon, Saudi Arabia, etc have very small militaries due to small populations, that can't wage any war offensively. Syria is the only arab country that is capable, but it is tied to Iran so if the Iranians and the US are friendly, Syria and the US are friendly. If the US sees the middle east full of friendly nations then it weakens Israel's "need" for assistance. It serves them that the US and the mid east are in conflict. it shows good effort there so far, anyhow more effort needed... jst banned all nuke production entirely.. none country should have it coz at the end they will used it to other country..
Iranian hate the regime of dictator supreme leader and wish to get rid of that. Any agreement with this regime ignores all the Iranian requests. The best solution is putting more pressure to this regime to drop it into history garbage. West have loaded pressure to the people of Iran. Sanctions don't work! It is better to make a fair deal with Iran to prevent more damage to people's daily life. Thank you, Tim. It appears that you Tea Partying idiots can't stand the idea of any kind of peace between Iran and the West. This is nothing but sheer ignorance on your part. These is no sense in continuing the politics of hunger toward that country as these strong arm tactics are making us all look bad all over the world. Some people feed off of having an enemy, even its imagined. Just like children. If you are too busy hating/fithgint an "enemy" no one will notice the things you do. Projection. Quite true James, quite true! It seems that we do have need for an "enemy" to hate. This is what the right-wing politicians in Washington feed on!!! The US foreign policy is acting very weak against the terrorist regime of Tehran. Begging of them?!! How they can control stop enriching to 20% purity?! They announced the atomic sites military zones!! They will easily break their promises by the supreme leader order! and starting exporting terrorists every where from north Africa to Bahrain! Those liars are fooling the western countries. Do not believe any promise from them. They are testing the bomb exploding in the hidden sites. The senior Obama administration officials is helping them to recover from sanctions and after a short period to make the bomb. More sanctions or delivering all the enriched uranium and opening all sites to the inspectors is only solution.